There are three things I look for when buying a double: original condition, shootable dimensions, and a fair price. This SxS by Joseph Lang & Sons has the first two. As far as price, it’s going to sell for exactly what people think it’s worth. 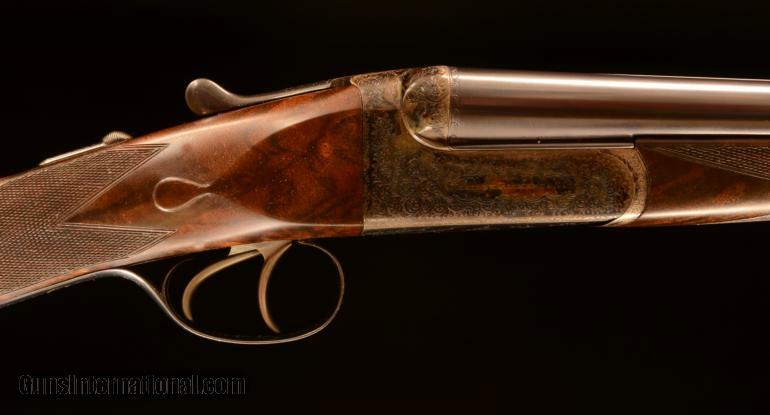 Other than the Decelerator pad, this shotgun looks like it has never been messed with, and the original 2 3/4″ chambers are a nice touch. It’s up for auction now with no reserve, and the listing ends on February 8, 2015, @ 17:03:00 PT. 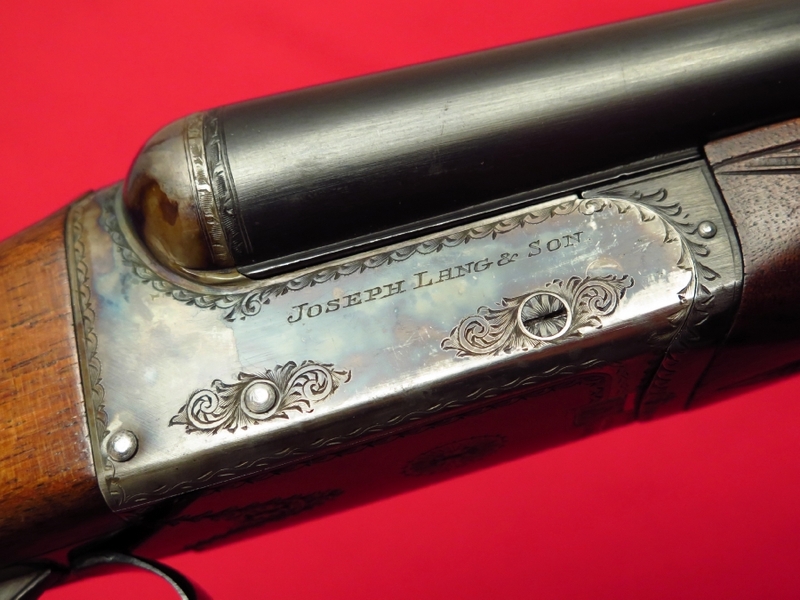 Joseph Lang was one of England’s great gunmakers. 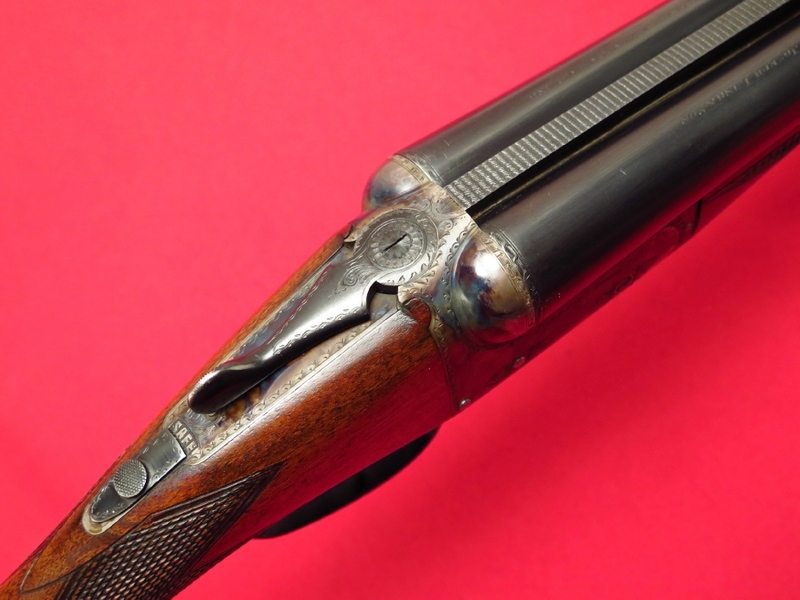 He started his business in 1821 went on to make key contributions to the breach-loading designs that changed shotguns forever in the 1850s and 1860s. 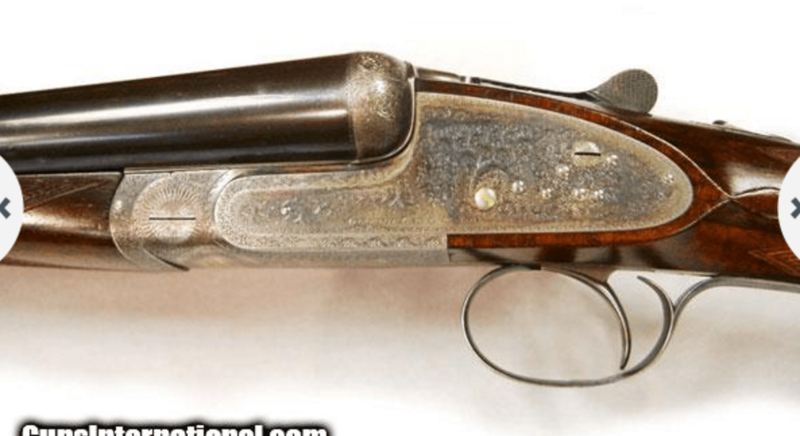 In 1907, his company introduced the .470 Nitro Express – the most famous dangerous-game cartridge ever created. The company was merged with Stephen Grant & Sons in 1925 and went on to become a part of Atkin, Grant & Lang. 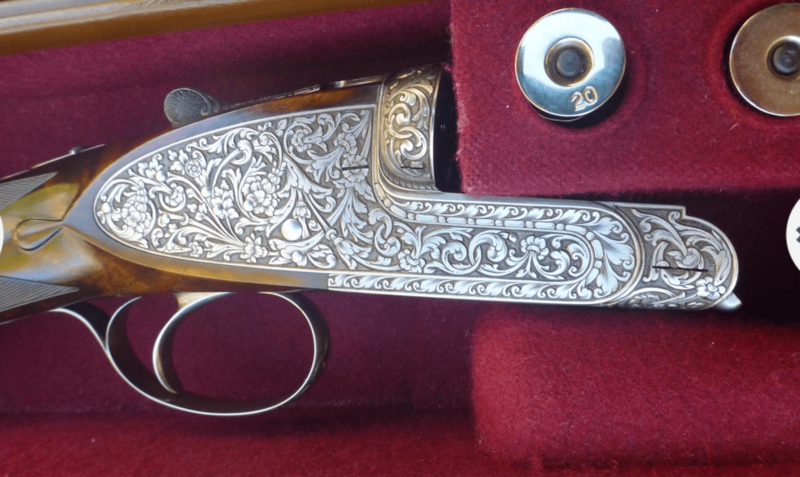 JOSEPH LANG & SON / LONDON ~ BOXLOCK EJECTOR 28, IC/MOD, Mfd 1965… GUN… V 12-GAUGE: NO RESERVE!! 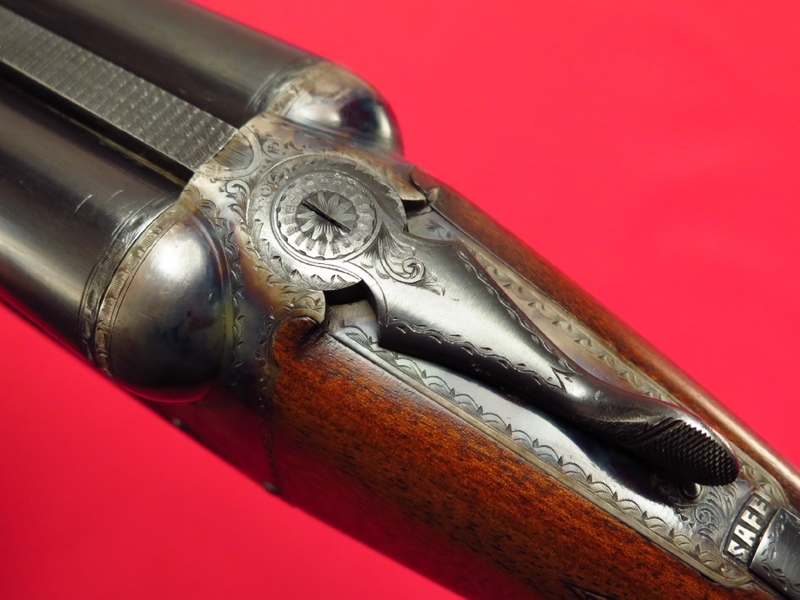 Here’s a very high quality English shotgun that was manufactured by Joseph Lang & Son, one of the grand old London gunmakers dating back to the 1820’s. 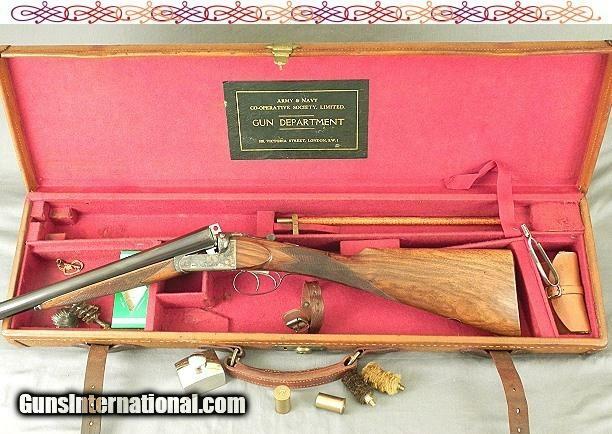 This particular double gun is a relatively recent effort and was manufactured in about 1965. 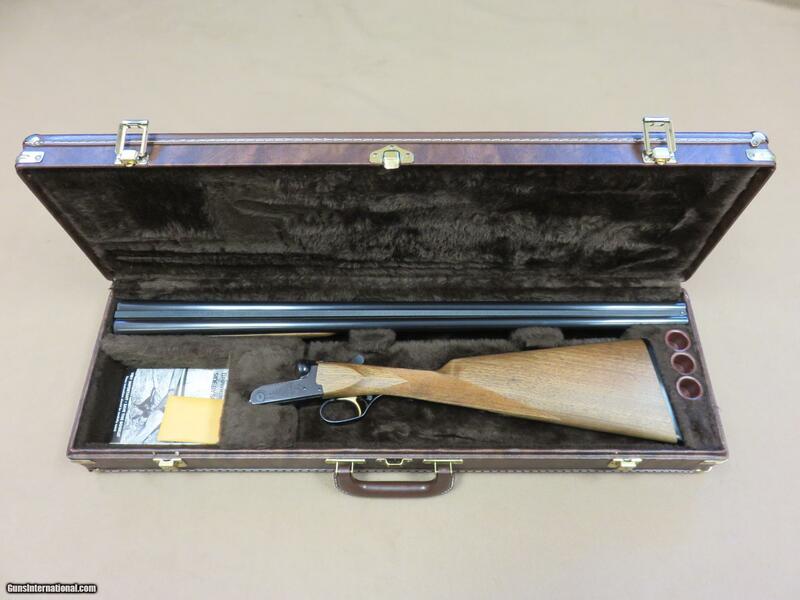 A 12-gauge boxlock, it wears 28″ barrels with 2-3/4″ chambers. 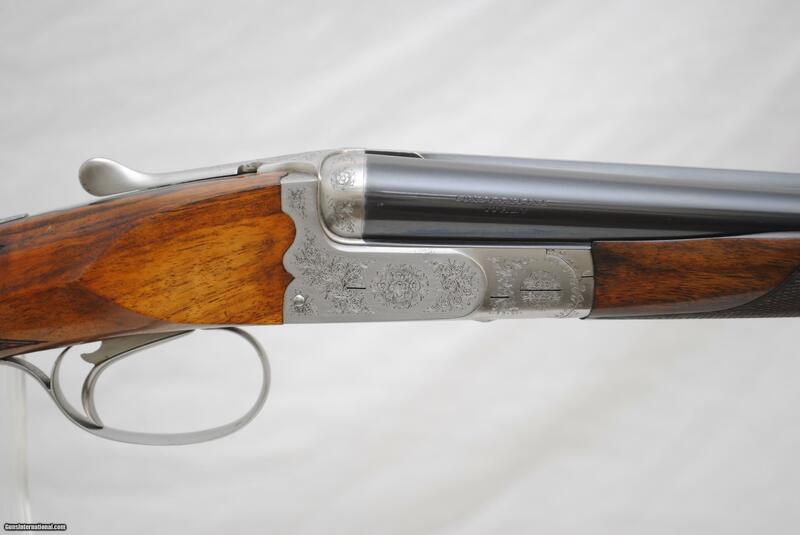 The barrels are choked Improved Cylinder (right / .0089″ constriction) and Modified (left / .0216″ constriction). 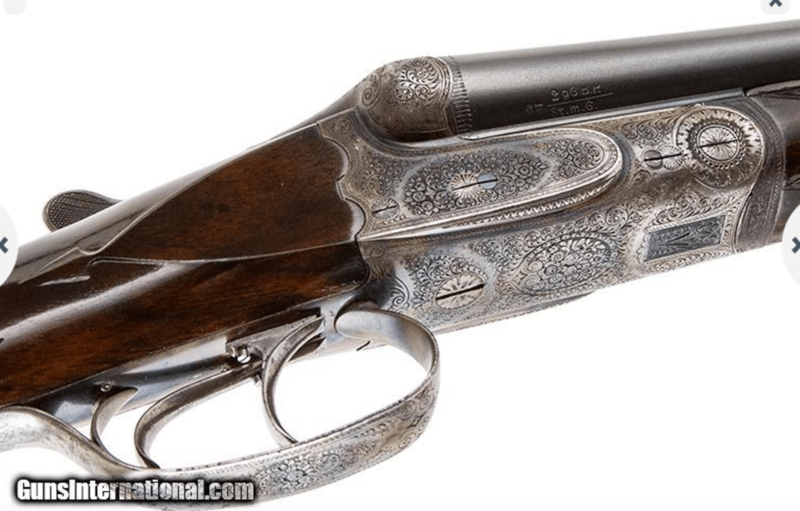 It features double triggers, automatic ejectors, and automatic safety. The buttstock is the straight, English style with a LOP measuring 14-3/4″ to the forward trigger. Drop @ Comb is 1-1/2″; Drop @ Heel is 2-1/4″. 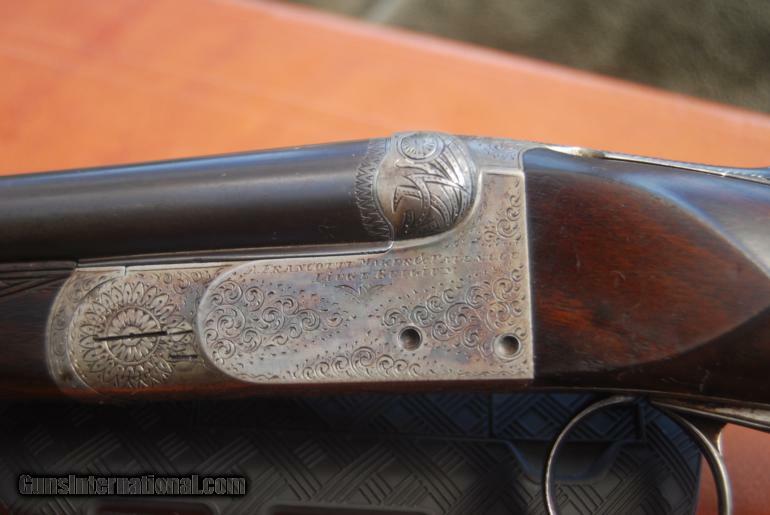 Condition is excellent and the gun retains most of the original finish. The case colors on the frame are vivid with only light wear. The bright blue finish on the trigger plate and trigger guard/tang is excellent with minimal wear. 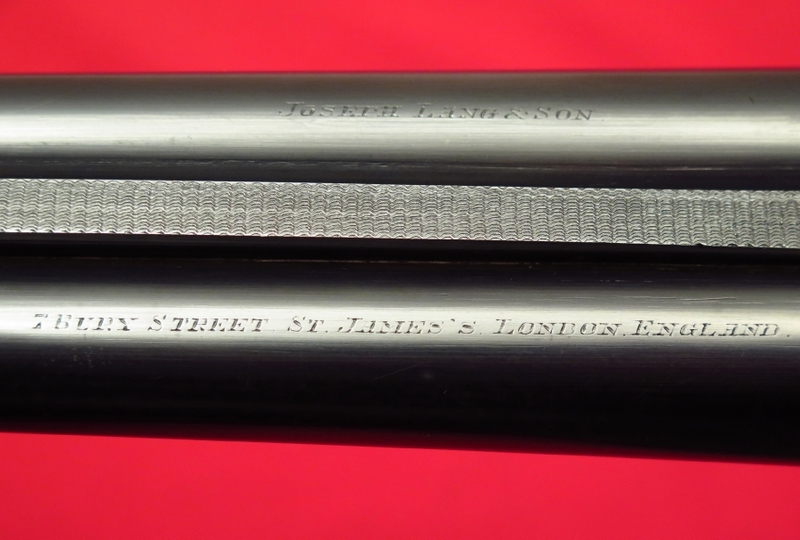 Likewise, the finish on the barrels rates nearly 100% with little appreciable wear. The stocks are in fine shape too with a few handling marks but no cracks or chips. A thin black “Decelerator” pad has been professionally installed without cutting the stock and the original hard buttplate & screws are included should the purist wish to put it back to “factory original”. Weight is 6-3/4 pounds. Mechanically excellent, this gun locks up tight, functions flawlessly, and has mirror bright bores. 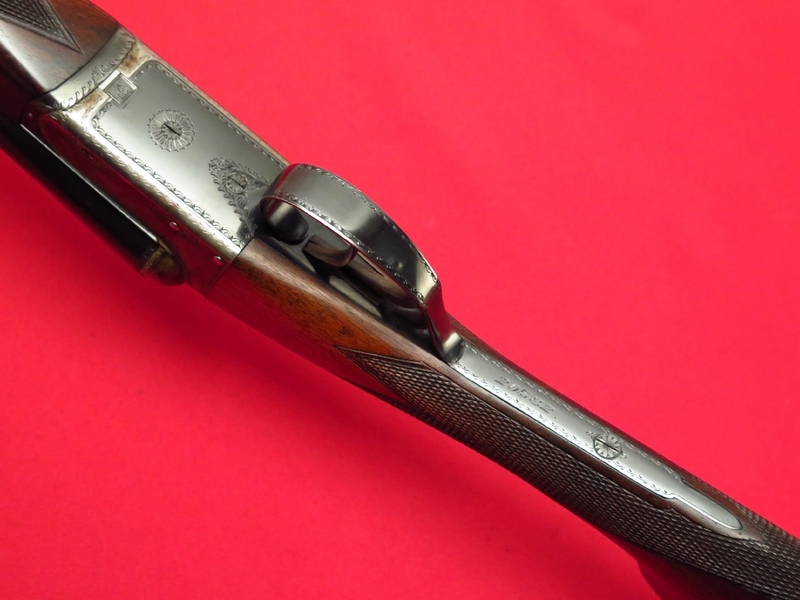 A Browning takedown case is included which is in very good shape and serves to protect this wonderful English double. 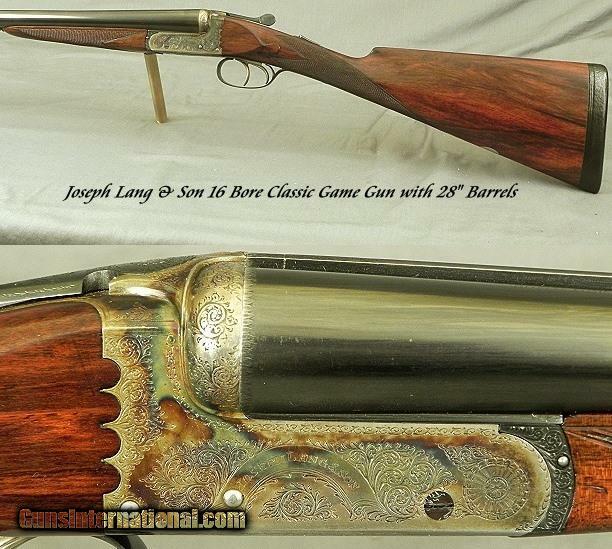 In the 175 years that Joseph Lang guns were in production, just over 24,000 guns were produced. These rank the very best of the English makers. 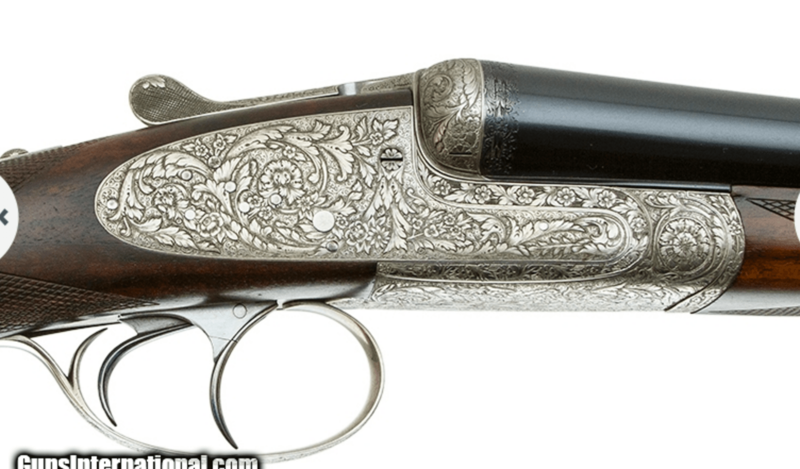 A very, very nice shotgun!! 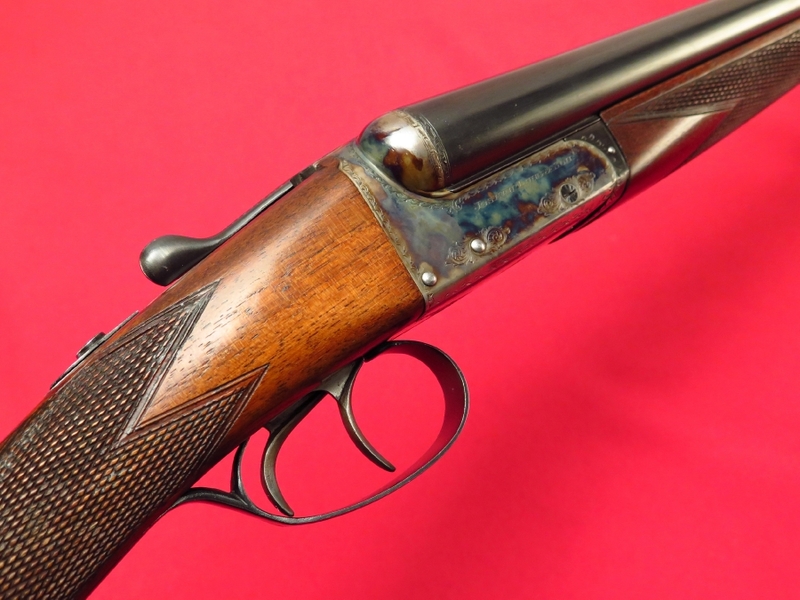 EXCEPTIONALLY FINE WINCHESTER MODEL 21 DOUBLE RIFLE: Caliber 45-70. 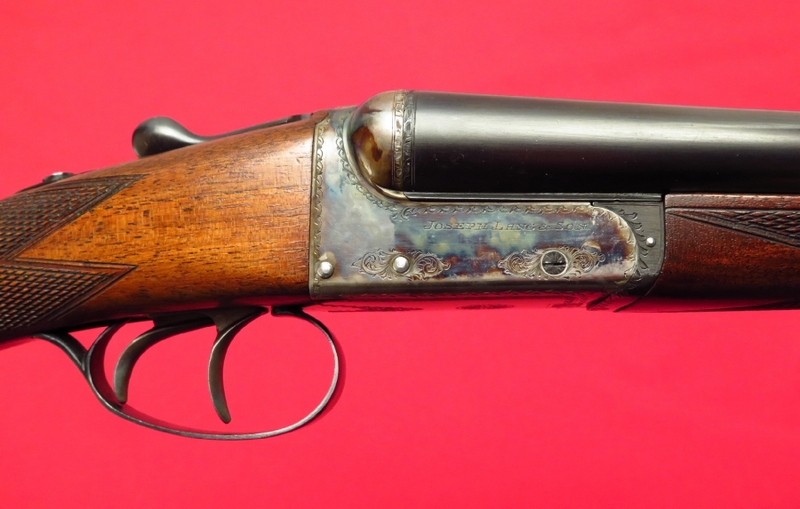 EXCEPTIONALLY FINE WINCHESTER MODEL 21 DOUBLE RIFLE: Caliber 45-70. 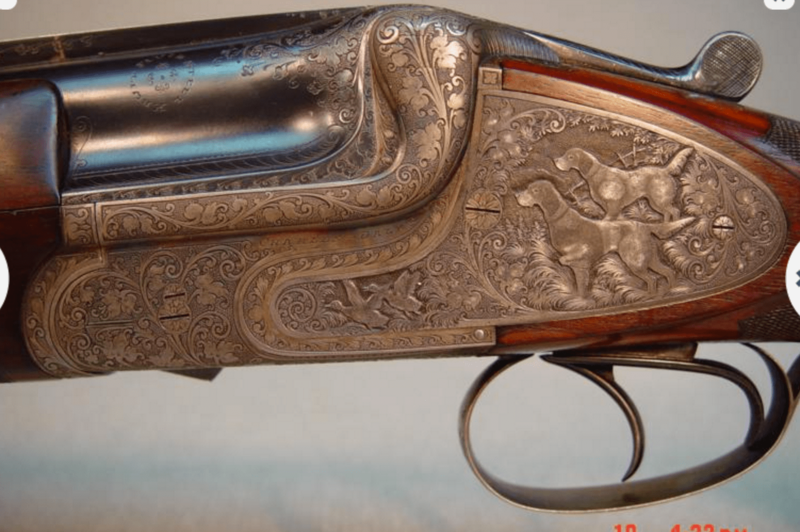 Engraved in Grand American style with four big game animals gold inlaid in the receiver; a moose on one side, an elk on one, a big horn sheep on the bottom and grizzly bears inlaid in gold on the trigger guard. 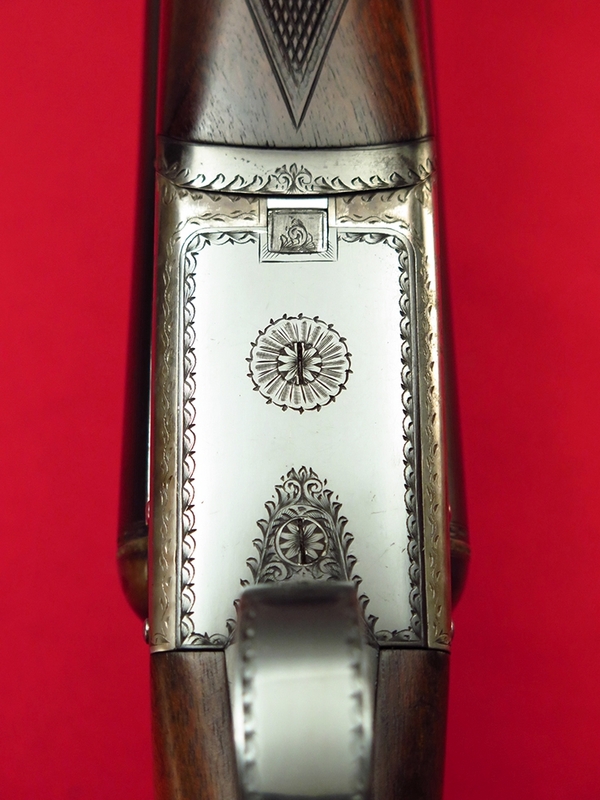 The entire receiver is heavily and extensively engraved by Nick Kusmit; this is one of the last guns he did before he left Winchester. 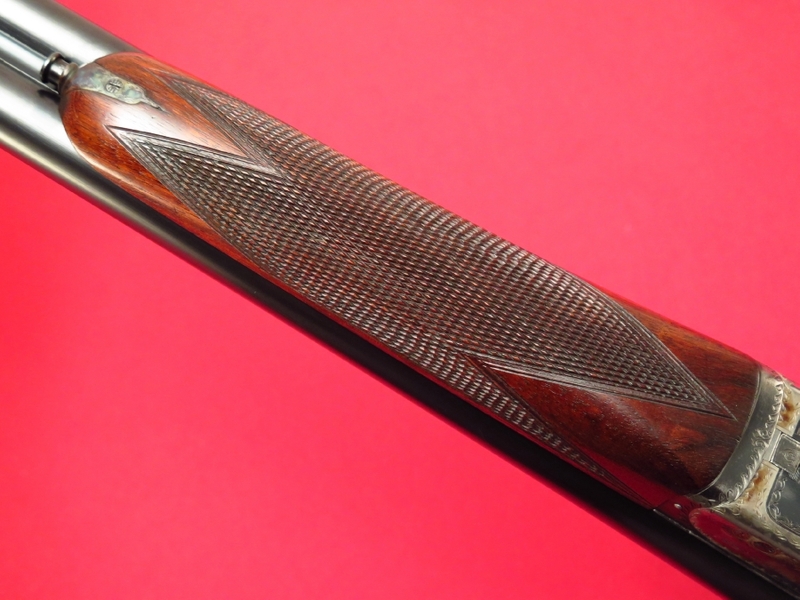 The stock is checkered and carved; carving extends half the length of the buttstock and 3/4 of the length of the forearm-very beautifully and tastefully done. 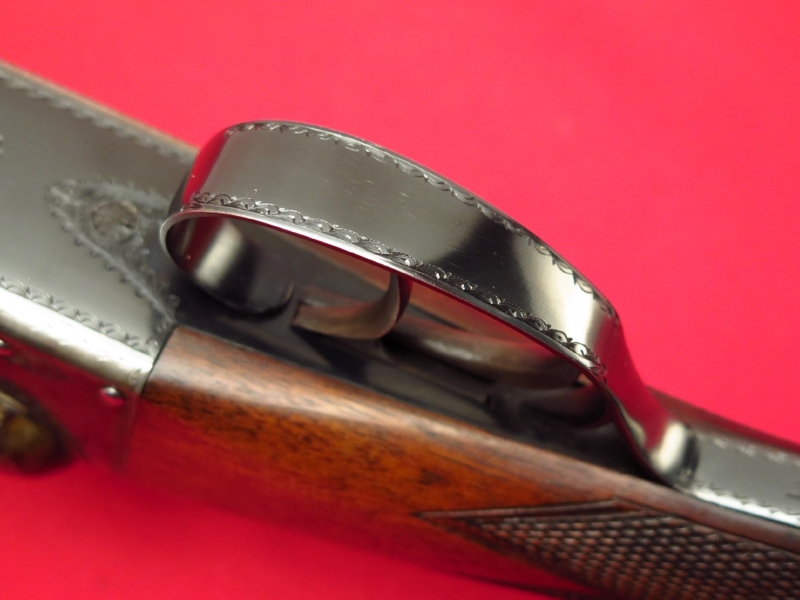 Overall gun is in as new condition, fitted in an orig Winchester luggage case. 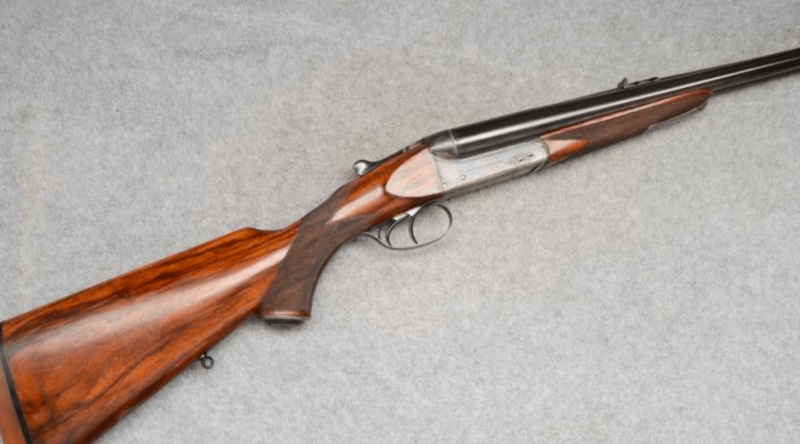 Completely made in the Winchester plant custom department and was assembled by Tony Galazan of a Connecticut shotgun manufacturing company when it was completed. 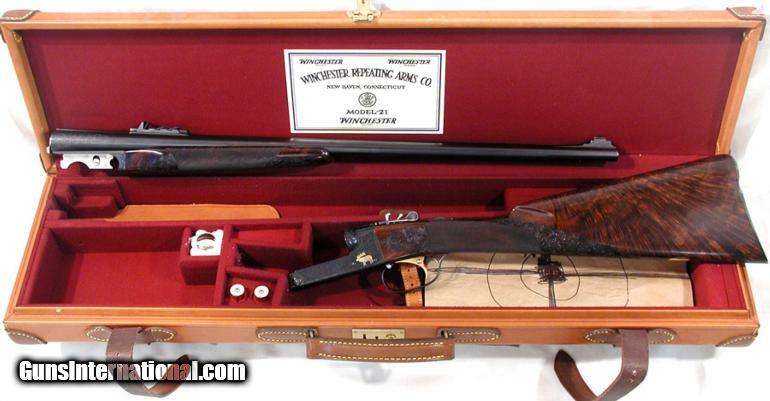 One of the finest Winchester Model 21’s ever made; just a handful of these were made in 45-70. Price: $75,000. 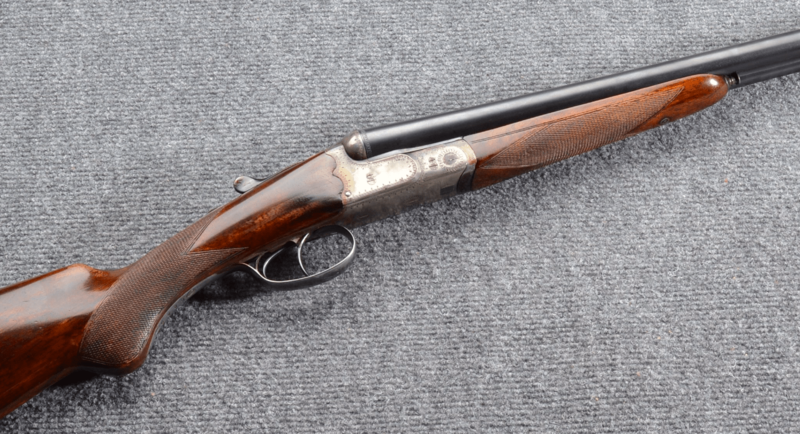 Westley Richards 20 bore Droplock with 30″ barrels, Double Triggers, Long stock: Boxlock ejector, straighe grip, 2 3/4″ chambers, 15 5/8″ LOP, 2 1/8″ DOH, Chokes IC/Mod, 6lbs, 5oz, in original case. Looks very original. Price: $26,000.